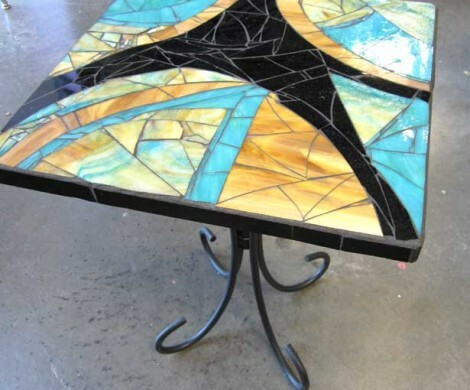 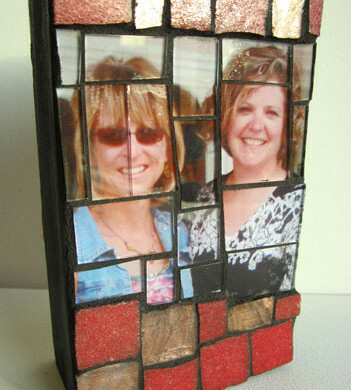 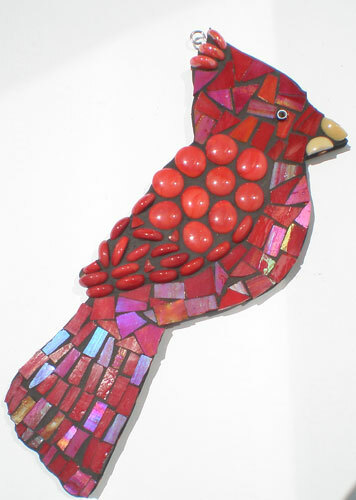 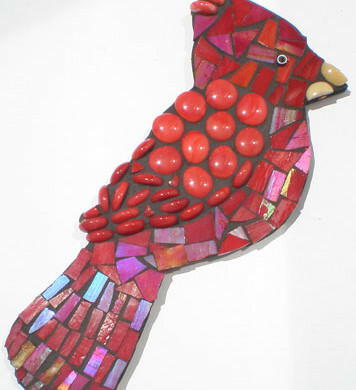 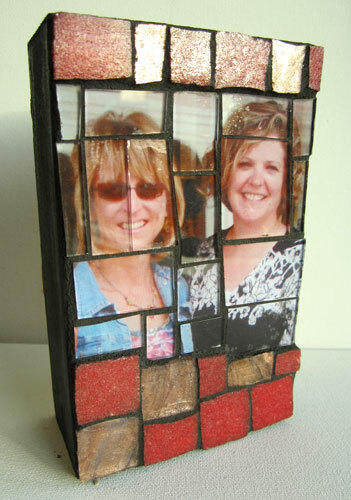 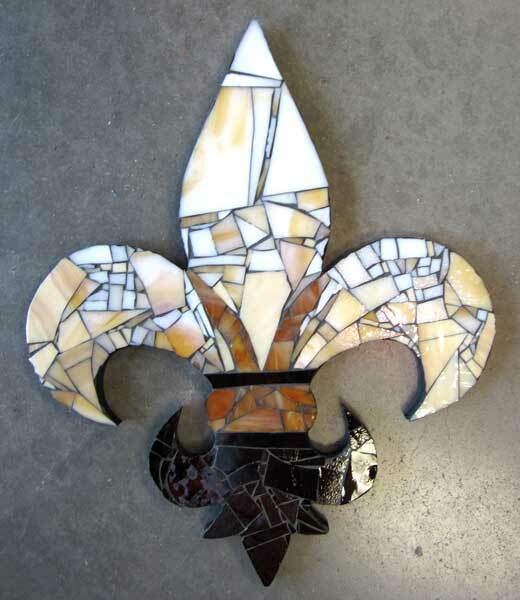 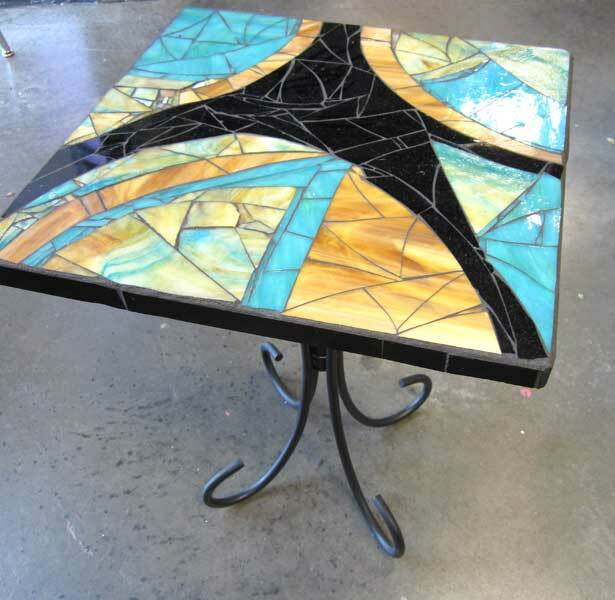 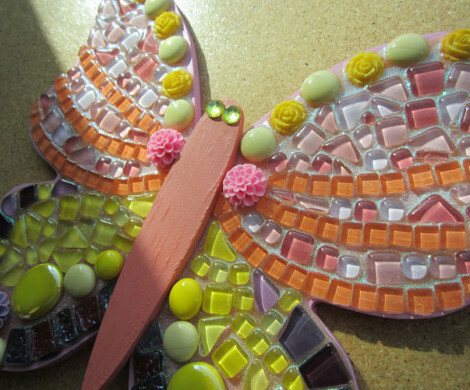 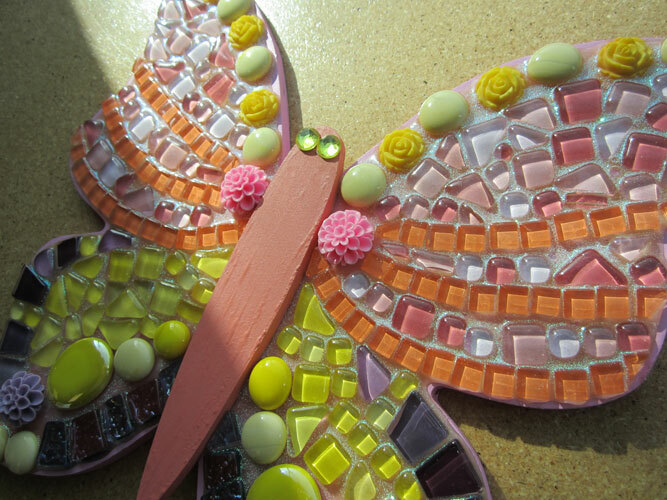 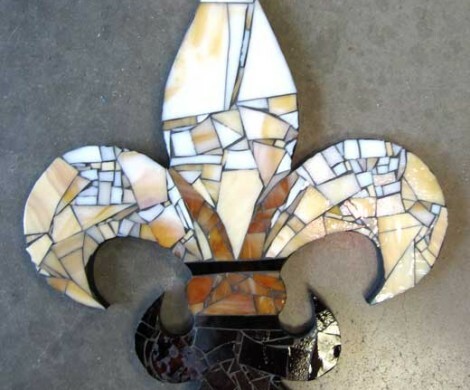 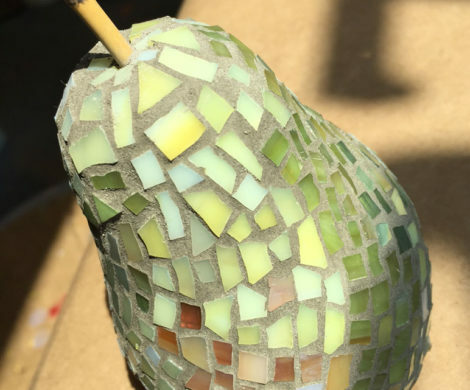 Mosaic is an ancient decorative technique that utilizes small pieces of glass, stone and other colorful elements to compose a unique piece of art. 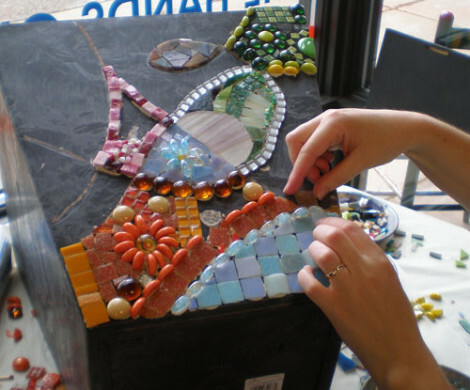 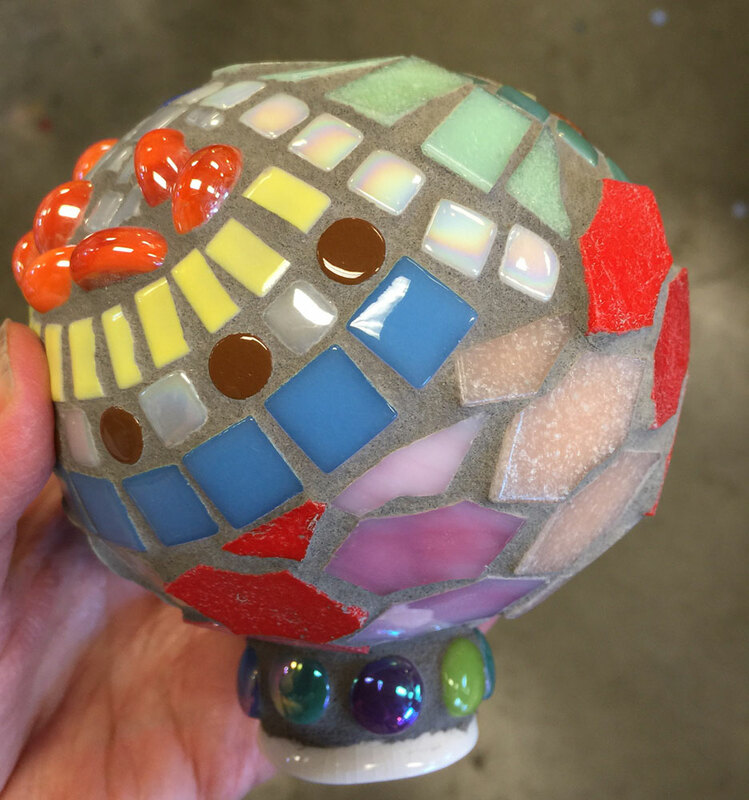 The ancient Mesopotamians, Greeks and Romans are especially known for their gorgeous mosaics, so we love teaching this beautiful technique here at Yucandu! 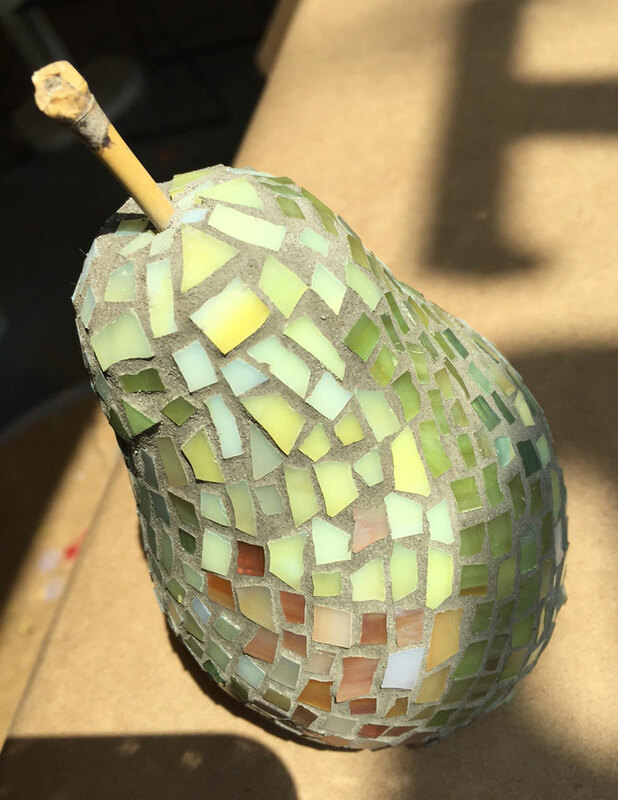 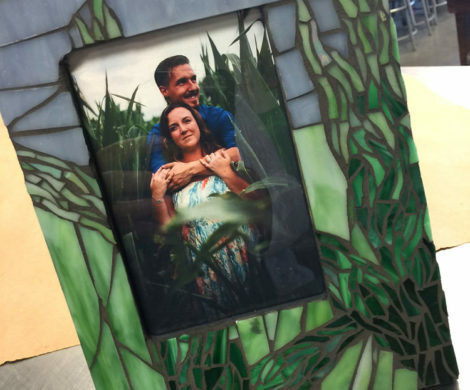 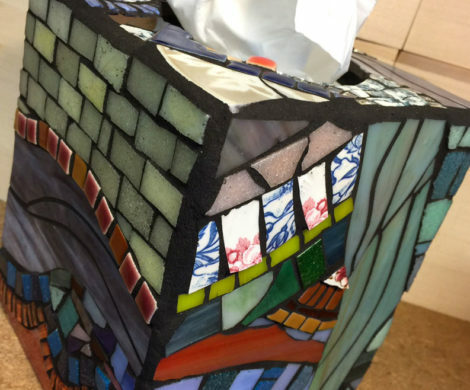 Whether you’re new to or familiar with the art of mosaics, we’ve got everything you need to get started on your project. 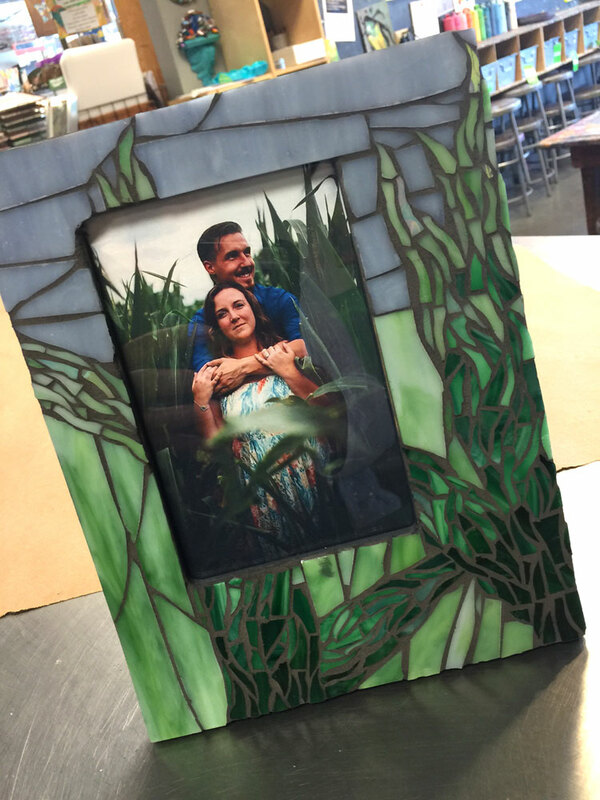 For a small studio fee ($4/hour or $12/day), you can use our tools, receive staff instruction, store your unfinished projects and leave the mess to us. 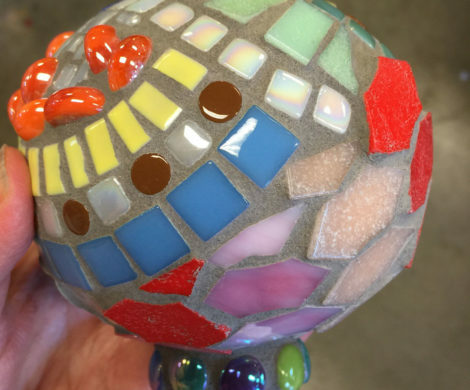 If you’re a beginner, not to worry! 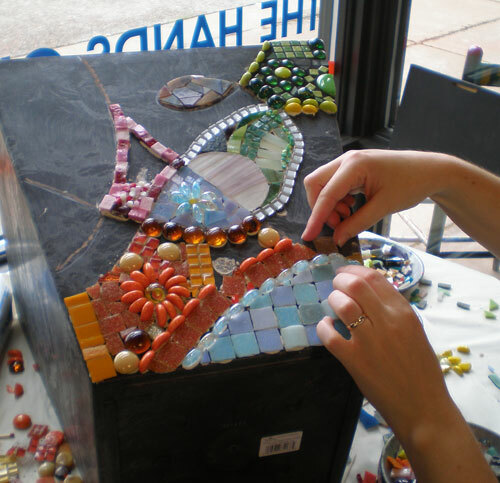 Our staff will walk you through step-by-step. 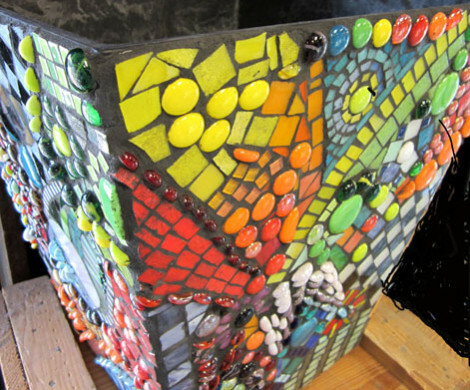 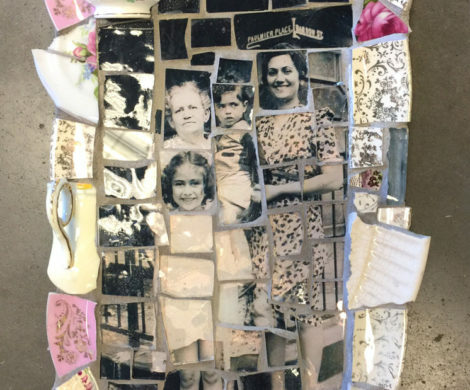 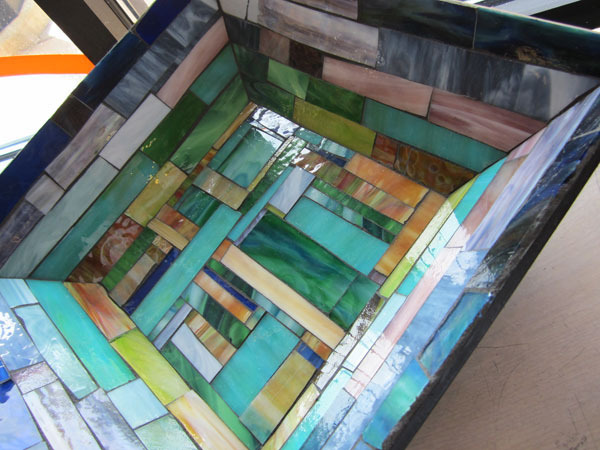 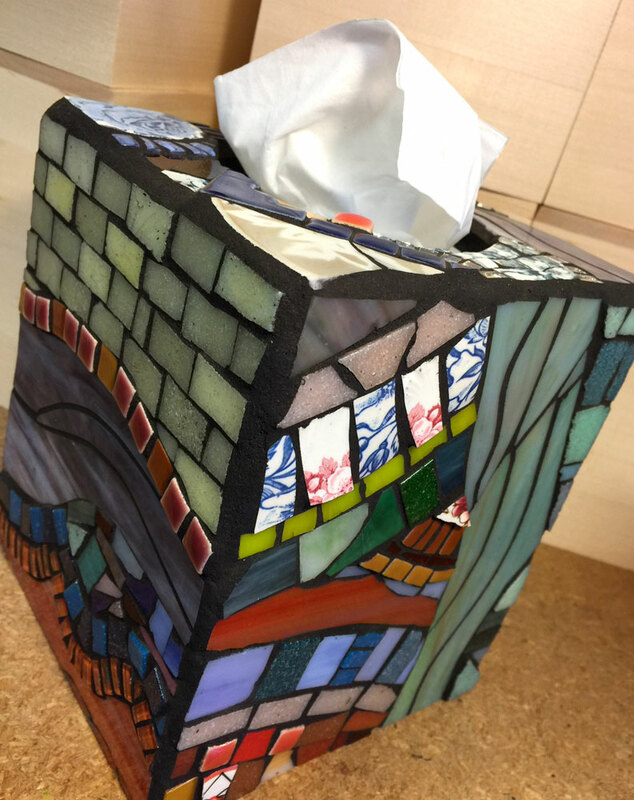 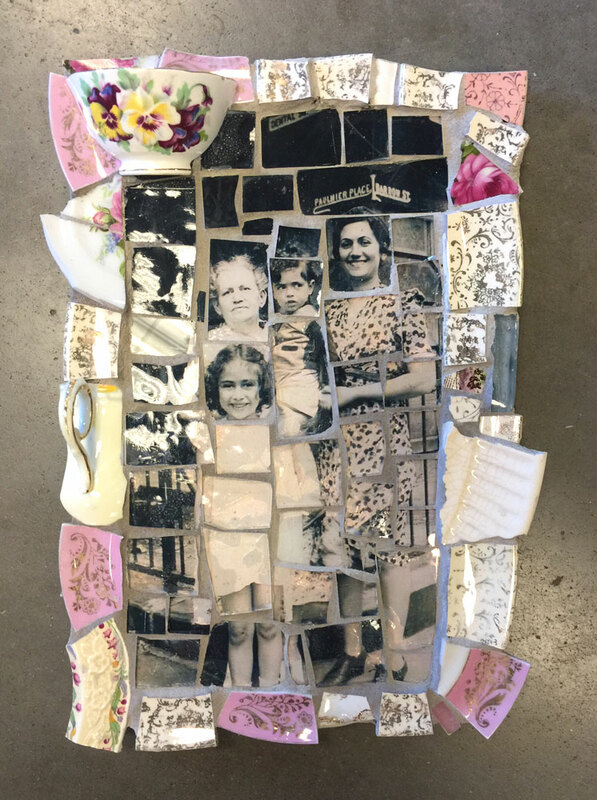 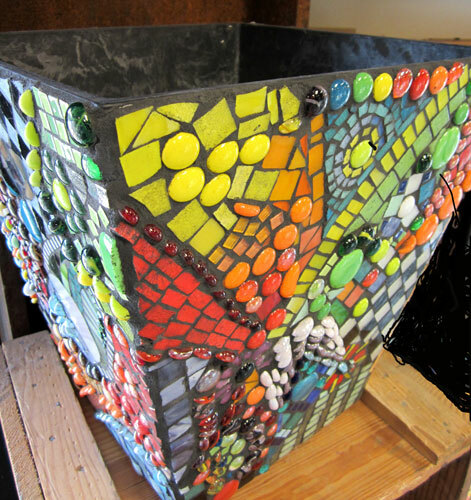 Yucandu mosaic supplies are also available for in-home projects, including a vast selection of substrates (bases) made of wood, metal, paper-maché, and cement. 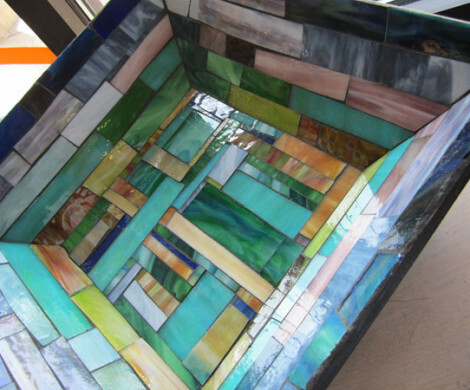 We sell tesserae by the ounce, as well as tools, adhesives, sealers, grout and paint.